Writers of women’s fiction, you have until February 9, 2016 to enter the 21st “Dear Lucky Agent” contest. Click here for full details. Be sure to read all the directions carefully, because there are very specific hoops to jump through, including sharing info about the contest on social media. Why bother? Because the judge is Elizabeth Winick Rubinstein, president and senior agent at MacIntosh and Otis. Who knows? If your first 250 words are brilliant and you win the critique of your first 10 pages and she loves it, maybe she’ll ask to see the rest of your novel, and if it has the potential to be the next bestseller, maybe she’ll want to represent you. Why pass up an opportunity to put your work in her hands? I’m submitting my 2015 NaNoWriMo novel, The Night Runner. 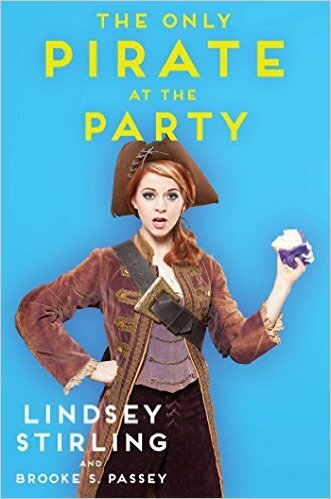 Several days ago, I met Lindsey Stirling and Brooke S. Passey (Stirling’s sister), coauthors of The Only Pirate at the Party, at a signing at my local independent book store. This video has been viewed 140,000,000 times. But two years earlier, after an ambitious third act on America’s Got Talent that didn’t go as well as she’d hoped, she suffered humiliating remarks from the judges on national television. (That’s also been immortalized on YouTube.) She could have crawled under a rock and never played violin publicly again. Instead, she decided the show was a learning experience that revealed where she needed to improve, and she immersed herself in focused practice. She found an appreciative audience when she posted her videos on YouTube. Three years ago, as her star began to rise, she yearned to encourage struggling musicians, entertainers, and artists to stick it out. So, with her sister’s help, she wrote the story of her journey to success, starting with her childhood. Stirling’s Twitter post of herself and her sister at the airport during their book signing tour. My neighborhood bookstore, Changing Hands, sold several hundred copies of The Only Pirate at the Party, and I waited for nearly two hours to get my book signed (I was in Group Q). I put the time to good use by reading the first 90 pages, laughing out loud and undoubtedly annoying the other patrons. When I got close to the authors’ table, I observed their enchanting personalities and the sister/best friend dynamic that makes me so jealous. (I have a wonderful brother, but no sisters—and I really wish I had that unique relationship.) Stirling and Passey clearly know and love each other well. They exchanged that “see—I told you so” look when I commented that the book is funny. They laughed and joked as they interacted with their adoring fans. The book is a delightful read, full of anecdotes as well as deep insights. Stirling tried to include all the topics one might expect in a celebrity tell-all. Including Chapter on My Young and Carefree Drug/Alcohol Escapades. Which I quote here in its entirety: “I have never done drugs or consumed alcohol, so this chapter is really short.” How refreshing. So what’s the deal with that pirate reference in the title? Stirling confesses three ways that she identifies with pirates. And finally, a friend invited Stirling to a Peter Pan-themed surprise party and told her she could dress up if she wanted. So Stirling showed up in full Captain Hook regalia. Not only was she the only pirate at the party, other than the girl wearing a Tinkerbell T-shirt, she was the only costumed guest. I heartily recommend this book. Stirling is so un-Hollywood, so genuine and transparent, and so humble. She shares humorous and embarrassing events in the hope that if her readers experience failure on the road to living their dreams, they would take heart, persevere, and overcome. All right. But just one more. In response to The Daily Post weekly Photo Challenge: Vibrant. 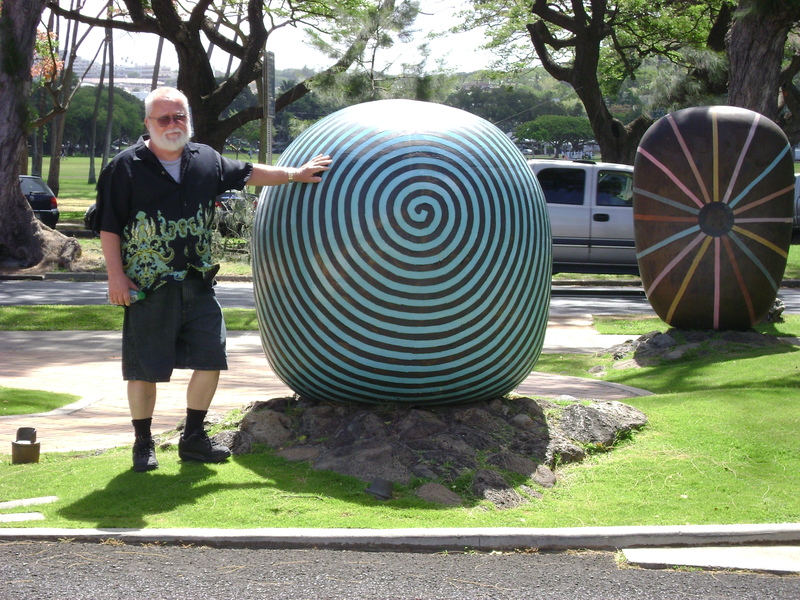 In this picture from a vacation in Waikiki a few years ago, the pink just pops, doesn’t it? I’ve been practicing this for years and I can barely play it at half this speed. Amazing.